Guide: How to trade Forex UK & EU - Forex Trading for Beginners. How To Trade Forex? While trading forex is quite simple in theory, the reality is that forex trading requires a lot of skill, and is associated with high risk. Foreign currency trading is one of the most lucrative and available forms of trading that you can find. The Foreign Exchange Market is by far the largest of all investment markets and offers many exciting opportunities. With Forex trading, you can choose to open and close positions in just a few minutes or hold investments for several months. Learn how to trade forex. Here you will find resources suitable for both beginners, and advanced traders. This will help build a foundation of knowledge, and help you decide what platform to use when trading forex. Forex Brokers – Pick a Broker. Forex Trading Apps – Best Forex Trading Apps? Forex Strategies – How to Trade Forex? Trading strategies – More Trading Strategies. As you can imagine, this means that Forex trading suits many different kinds of people – both those who prefer fast market conditions and those who would rather focus on extended periods of time. Unlike trading in stocks, where the pace is much higher, Forex online is mostly concerned with long-term investments. The critical thing to remember is that you can earn good money with Forex trading on both short and long-term transactions. There is no right or wrong, as it is up to every individual to decide what type of FX trading suits them. So what is forex trading really about? The good thing is that currency trading is relatively easy to learn, and even a complete novice can quickly start Forex trading. Being genuinely successful and starting to earn good money obviously requires experience and a lot of practice. BullMarketz can help with this, but the basics of trading Forex are very simple. If you already have experience in other forms of trading, whether it is stocks and shares, options, or CFD’s, it is obviously much more accessible. You can quickly get a sense of how trading works and what forex trading is. So you can start making money on forex trading immediately. Our goal is to provide the information you need to start your new career in currency trading or to take your trading to the next level. It does not matter if you are entirely new to Forex trading or you have several years of experience. We have all the materials that can help you to improve and increase your income. So in reality, how does Forex Trading Work? In short, forex trading is a form of trading where you buy and sell currencies in the form of currency pairs. This means that you do not only purchase one currency but two different currencies simultaneously. The actual FX trading investment is then based on the exchange rate between these two currencies. The transactions are carried out in the Foreign Exchange Market, which unlike stock exchanges and investment markets, is not a physical market. Instead, all online Forex trading is carried out between two people in a peer-to-peer (P2P) system. To access the forex trading market, you need to use a trading platform via a forex currency broker. We will talk more about the role of the broker further down the page. We – the people behind BullMarketz.com, avid forex investors – live and breath forex trading and we really love the excitement and possible profit that this type of investment offers. However, we do understand that it can feel overwhelming when you first get started. There is a lot to learn and it can feel impossible to know where to start. Both absolute beginners and more experienced traders can benefit immensely from continuously learning about forex trading which is why we created BullMarketz.com. If you are a beginner then here you can find the best forex brokers for beginners in the UK. We wanted to offer traders a database with all the information they could possibly need to become successful traders. Would you like to know more about currency pairs and exchange rates? Then check out our article about exchange rates. Are you new to forex trading? Then we recommend that you start by learning more about different currencies here. But before you move on to the rest of our site, we want you to finish reading this page. It will give you a good insight into what to expect from the site and what’s needed from you to get started with forex trading. Want to learn how to trade forex? As a part of our forex guide, we also made sure to recommend all the best forex trading tools that traders will need to succeed. However, since there are several ways to buy stocks, different regulation, and because most people have their own personal preferences when it comes to trading, we have split our recommendations up in different sections. Lets get started on how to Trade Forex. The main and most obvious section of our recommendations is the list of best forex platforms. 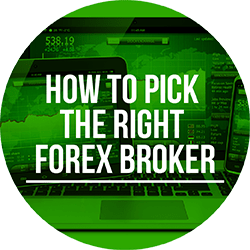 In this guide, we get into detail about what’s required from the top forex brokers as well as what you need to be careful with when choosing a broker. We also provide a list of the top forex brokers right now. It has become increasingly more common for people to trade on their mobile devices today and the industry is booming. Because of that, we’ve spent the time and effort needed to test and review all of the best forex trading apps today and you can read all about them in our comprehensive guide. Brokers today can offer a range of different forex trading platforms and software. For example, some decide to develop their own while others use platforms designed by third-parties. For beginners, this can quickly become quite confusing which is why we decided to list all the best trading platforms. Day Trading Forex is fun, but also risky. The Foreign Exchange Market is a decentralized market that is not tied to any particular area or region. It is completely global and is also the largest market in the world. It has an international currency turnover of several billion dollars every day. Several billion dollars that you can try your hand at today with Forex trading. Forex day trading is extremely popular with private individuals just like you and me. The reason why the Forex market turns over such enormous sums of money is that the central banks also trade with currencies. This allows them to control the price of their currencies and to stabilise the exchange rates. Without exchange rate stability nothing could be bought and sold internationally, which in turn would lead to a collapse in international trade. The fact is that we are all dependent on the exchange rates, whether we are Forex trading or not. How to Invest in Forex? Generally speaking, there are two different ways to buy currencies in Forex trading. They can be purchased either as spot (direct) or as futures (futures). Spot trading is the easiest way to buy the currency for Forex trading. Your task is simply to buy and sell currency pairs for the current market price. You can choose when you want to sell or buy. If the exchange rate between USD and SEK is at 8.0370, then only the price is relevant and nothing else. Futures in Forex trading are a little more difficult and something that is better suited to experienced traders. Instead of buying a currency pair, you buy a contract, also called a semester or future. This contract determines when, and for what price, you will buy or sell your currency pair. The contract is legally binding, and it can lead to substantial losses if it does not match. If the exchange rate of USD and SEK is 9.0000, then that is the price that applies, even if you put money on the price being 8.1000. The Spread in forex trading is the cost of trading. A spread is the price difference between the sell and the buy price. Basically, its the fee the broker is charging you when you buy a currency pair. It is very important to be aware of the spread price as it will affect the margins of your trading. All brokers will show you the spread price when you buy a currency pair. Even though the forex market is the biggest market in the world, the actual movements of the exchange rates are tiny which means the amounts you trade with are minimal. This creates an issue for private investors who might not be able to afford to invest in profitable opportunities. In order to fix this issue leverage and the margin was introduced. The margin is basically a loan that you get from a broker in order to fund your investment. By getting leverage, you create a possibility to win more but also risk losing more. And since the leverage isn’t your own money, you can end up losing money you don’t have or can’t afford. If you are interested in reading more about leverage and the benefits it offers you as an investor, we suggest that you read our section on leverage. In order to make informed decisions about the currency pair that you are interested in, you will need to analyse the market. You need to understand what affects the price of the currencies, and to study how the currency pair you want to buy has behaved over time. Then you develop your Forex trading strategies based on the information you have collected. Which strategy you choose to use depends on how you plan to trade the currencies, and whether you intend to focus on day trading and fast business, or are more interested in longer-term investments. The strategies are also affected by how much money you can spend on Forex trading. A presidential election or an updated policy rate can influence the exchange rate, and it is vital that you learn to evaluate these events in search of profitable opportunities. Should you start trading currency without first analysing the market, you will almost definitely be guaranteed a loss. Therefore, always ensure that you learn to interpret the Forex trading market efficiently. Forex trading professionals always focus on a handful of currency pairs, instead of analysing the entire market simultaneously. You should do exactly the same. Fortunately, many trading platforms and Forex trading brokers offer analytical tools that can help you. Just do not forget that the tools produce probabilities and not guaranteed profits. In the end, you must be able to trust your judgment and intuition. Before we continue talking more about currencies we want to tell you about the online forums where all aspects of forex trading are discussed. Forex trading forums are a good place to learn more about other trader’s personal experiences and tips. It is also a good place to learn more about the different strategies you can employ on your investments. There are hundreds of forums to choose from online and to help you with your selection we put together a list of the best forums for forex trading here. Some currency brokers offer automatic forex trading with so-called forex robots. An investment robot is a software that automatically buys and sells currencies based on predetermined values and trading signals. As an investor, you are offered the option to either provide your own signals or use signals and patterns that the broker recommends. The interest in forex trading with robots has grown rapidly over the last couple of years, and we have written a detailed guide about trading robots so that you can learn everything you need to know on the subject. Education is the most important strategy for any type of trading and in particular forex trading. To develop as a trader you need to stay updated on what’s happening on the market and follow the latest trends. The best way to do this is to read forex trading books and forex ebooks. If you read as many books about trading and forex trading as possible, you will gain valuable and applicable information that you couldn’t find elsewhere. And since the authors of all these trading books are professionals traders, you can rest assured that the information offered is trustworthy and based on real-life experience. On the page titled Forex Books, you can read more about some of the best forex books and forex ebooks, and take a look at the must-read trading books that we recommend. Forex brokers are an essential part of currency trading. A Forex trading broker acts as an intermediary between you and the market, and without them, you can not buy or sell any currencies. When it is time to choose a Forex trading broker, it is important that you find a reliable player that allows you to buy currency cheaply in a safe environment. There are hundreds of brokers to choose from, but only a few are safe enough to use. Markets.com, FxPro, and Plus500 (CFD Service) are some of the best brokers around right now, and if you are new to Forex trading, we recommend that you start with one of them. In fact, we recommend them even for experienced traders. It is not for no reason that they are the industry leaders. As a private investor, the first thing you need to do is find a broker to use for your trades. A broker should offer you easy access to many different currency pairs through a so-called trading platform. It is important to use a broker with a lot of options so you don’t feel limited. However, it is even more important that the broker’s tools are easy to understand and use, and that the site itself is safe. At the moment there are so many different currency brokers on the market that it can be a nightmare trying to figure out who you can trust and who is the best choice. To help you with the selection process, we’ve recommended three of the best brokers out there. Markets.com review – is in many ways the leading broker in the world and it is also our absolute favorite. 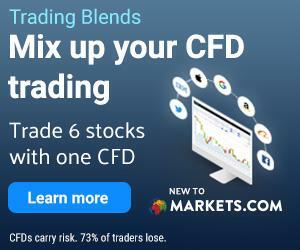 Markets.com offers a solid product with all the trading, analytic, and strategic tools you could imagine. They also have all the necessary licenses to offer their services in a safe and secure environment. Plus500 review – is a fully regulated and licensed forex broker that’s been in business since 2009. They offer an impressive coverage of available instruments and have a trading platform that’s very easy to use. In addition, Plus500 also offers all of its clients a free and unlimited demo account. eToro review – is an innovative broker for most types of investments such as forex trading, stocks, and indices. They were one of the first brokers to ever offer forex trading to private people. They also have the industry’s leading social investment platform where you can learn from and copy other investors. Read our comprehensive review of eToro here and learn everything there is to know about this broker. A good way to evaluate which broker is best for you is to open a demo account. A demo account gives you access to a sum of virtual money, which you can use to test the broker and practice new strategies. Demo accounts are not just for beginners but are something that all traders use. Even the very best utilise demo accounts to develop and test their strategies in a risk-free environment. A trading platform is a tool that you use to purchase currency online and to collect analytical information. Platforms are offered by the Forex brokers, and you will need to start a trading account to gain access to them. Trading platforms come in many different forms, and it is important that you choose a broker who offers a platform that you are comfortable with. If you prefer a stylish and simple platform, there are several you can choose from. The same applies if you are looking for a more advanced platform. Something that is important to know is that there are two different kinds of trading platforms. A platform is either created by a broker who designed it just for their customers use or is developed by a third party for a number of different brokers. At present, the most common platforms are those developed by third parties. MetaTrader 4 is a trading platform that you are sure to encounter sooner or later. Several of the industry’s leading brokers offer it because it is known to be extremely stable and reliable. MetaTrader 4 is a trading platform for the forex market. It is compatible with Mac and Windows and it comes in a mobile app version for most handheld devices. This is the platform that most brokers offer and it is considered industry standard due to its ease of use and simple user interface. The MetaTrader 4 platform can be used for trading, analyzing, planning, and strategies. It is a tool that you will stumble upon sooner or later and it is important that you learn how it works. We have written a comprehensive article about MetaTrader 4 and its different functions and services. It contains all the basic knowledge you need to start trading currencies on the forex market using the MetaTrader 4 trading platform. As with any type of investment forex trading can’t be done blindly. If you want to become successful as a forex trader you need a lot of specific knowledge and experience. You also need to develop and test your own investment strategies. There are of course many basic strategies, and a few advanced, that you can learn and start using right away. Although, we recommend that you create strategies that work for you. We have written more about strategies for forex trading here. If you are you ready to start trading currency, then we recommend that you continue to read the material we offer on this page. Should you be interested in learning more about other forms of investment, you can do that too. We provide comprehensive information on trading with CFD’s, on trading apps and with commodity brokers In addition, we provide hands-on tips and advice on how best to take advantage of any investment opportunities. All information available on BullMarketz is free and we recommend that you go through it all before you get started. Below you can find an overview of a few of the topics we cover. How to trade Forex in the UK might not be rocket science, at least not how to get started. However, for day traders looking to make some serious money, it will require a lot of time and patience. This article covers forex trading from a very wide perspective, if you are serious about forex trading then we recommend going through our complete guide to getting a better understanding of forex trading. Below you can find an overview of what we cover and what you can expect from each article. Forex demo account – Getting started with a forex demo account is an easy process and it’s usually completely free. With a demo account, you can try both forex trading and the broker you are interested in without putting your capital at risk. Forex trading strategies – Read up on Forex strategies, what they mean and how to use them to improve your trading. Forex Trading Platforms – What is a Forex trading platform and how do you make sure to pick the right one? Are all Forex trading platforms the same or do they differ from each other? MT4? MT5? Custom trading platforms? Forex trading signals – What is Forex trading signals and how can you use them to make better decisions when trading? Are there any good free forex trading signals or do you have to pay for this service? We highly recommend that you read through all of these articles before you get started. This will provide a good foundation of knowledge which will help you get started with Forex trading. It is important to remember that mastering this trade take time. Never risk more capital than what you can afford to lose and be patient. Let it take time. Overtime as you are more successful in your trading you will be able to increase profits while keeping risks low.